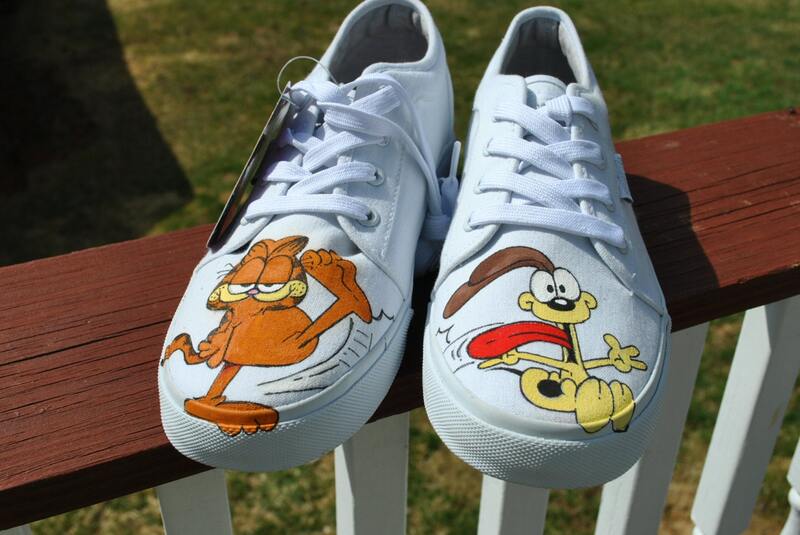 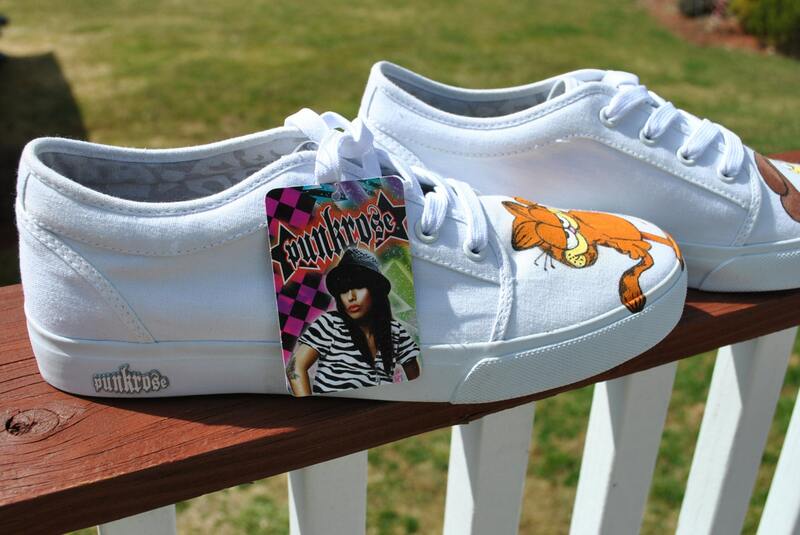 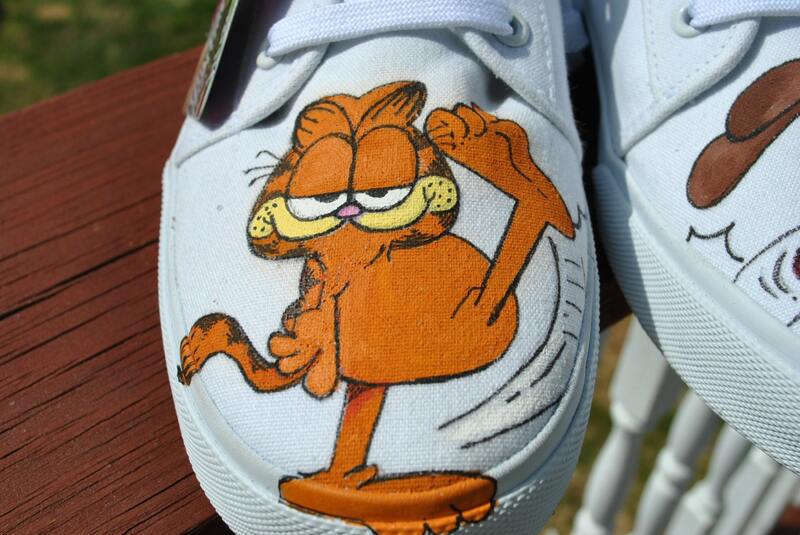 SOLD -Garfield and Odie hand painted white sneakers size 9, These sneakers are comfy Punkrose sneakers, that is the reason these sneakers are much higher than the others is because they are Punkrose. 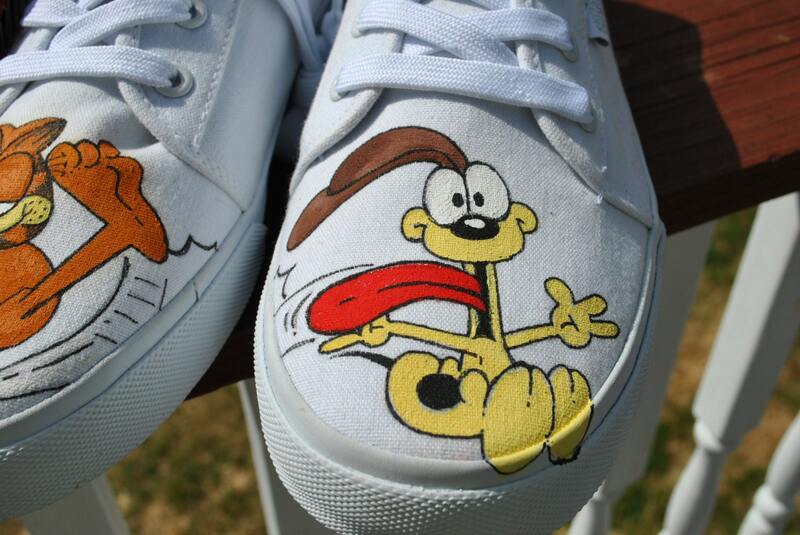 A really nice pair of sneakers I can not even get them any more in white... What I bummer. 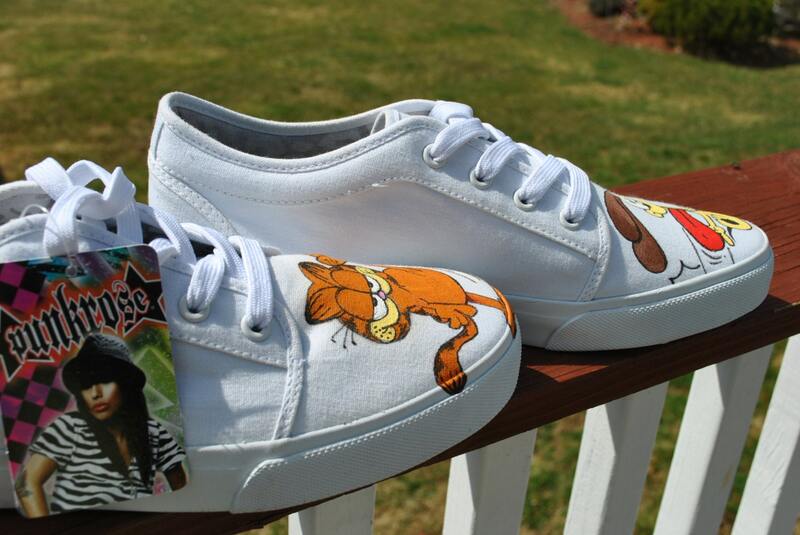 ***IF YOU WOULD LIKE CUSTOM SHOES JUST EMAIL ME AND WE CAN NEGO PRICE AND STYLES*** And lead time.